Contex is offering a pre-order promotion for the much anticipated HD Ultra X 6000, which starts shipping in September, 2018. The HD Ultra X 6000 is the widest, fastest and most productive 60-inch CCD scanner in the market. The pre-order promotion includes a free Scanstation stand, touch screen monitor, and the award-winning Nextimage REPRO software. Contex distributors are accepting pre-orders for the HD Ultra X 6000 until August 31, 2018. The HD Ultra X 6000 is receiving rave reviews from the scanning community. Notable features include exceptional scanning speed — 30% faster than any other scanner in its class — high quality images, and time-saving productivity features. Its state of the art design and advanced capabilities make the HD Ultra X 6000 one of best buys of 2018. 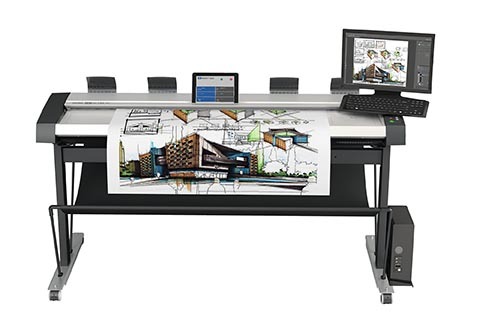 Contact a Contex distributor to pre-order a HD Ultra X 6000. For questions or more information, email salesamericas@contex.com.